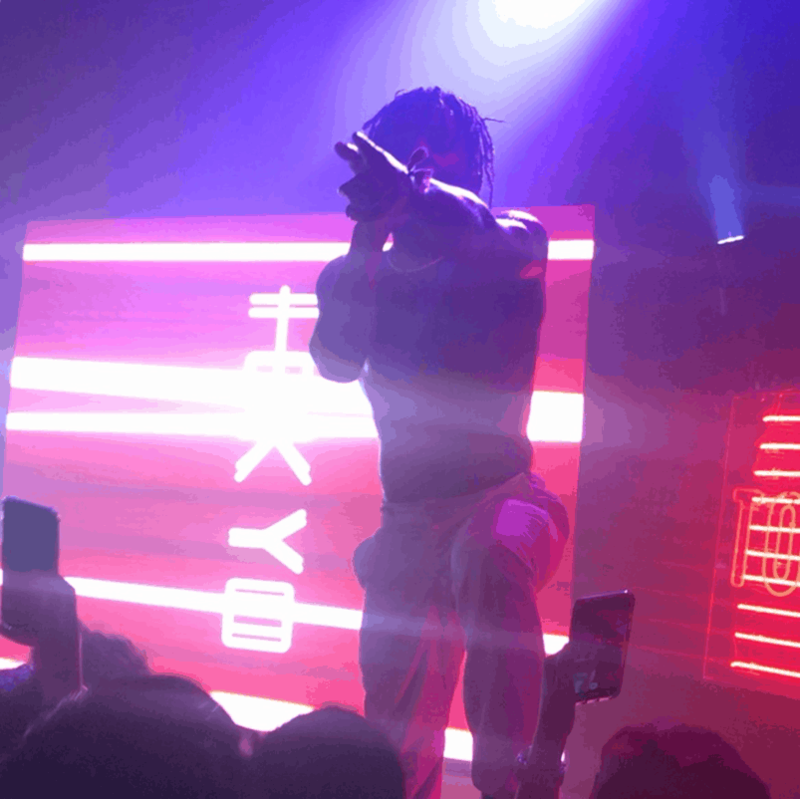 Back in March, I was lucky enough to catch MadeinTYO’s concert at Slim’s in San Francisco. Originally the show was supposed to be scheduled back in January but it was postponed and fortunately I was able to get ahold of a ticket this time around. MadeinTYO was very engaging and attentive with the audience. Maybe it was due to how enclosed and small the venue was, but MadeinTYO dapped up several of his fans in the front to show his appreciation. Usually rappers will throw merchandise to the crowd but rarely do I see them physically interact with their fans. Like the name of the tour, MadeinTYO delivered hits off Sincerely, Tokyo like “Ned Flanders” which had the whole place jumping. He also performed “Moshi Moshi,” and “Retro 88” where I have gained a new affinity with these tracks. Also, I thought his visuals were very creative and dope. For instance, Tokyo was written in Japanese and the kanji would transform to English letters. There were also pictures of Buddhist shrines, which provided a juxtaposition of enthusiasm and zen. MadeinTYO also performed songs off his first album Thank you, Mr. Tokyo like “Skateboard P” and “Mr.Tokyo,” both appear occasionally on my radio show and are my personal favorites. 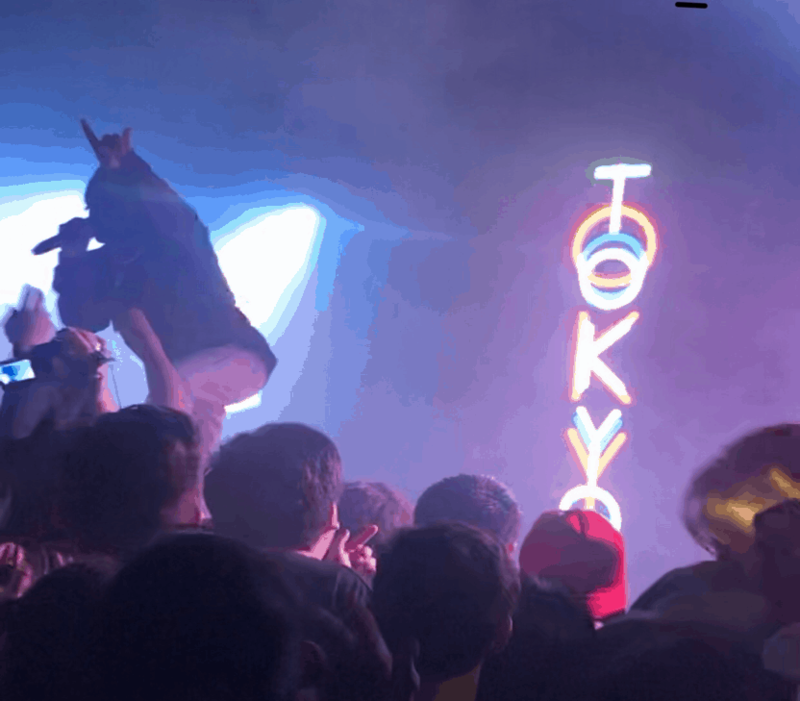 The night would be capped off with “Uber Everywhere” which to my surprise sounded better live as MadeinTYO was extremely energetic and passionate during his performance. To close, MadeinTYO is one of those rappers that genuinely sounds better live-in-person. This was the first time MadeinTYO had a show in the Bay Area and if he does have another show in the Bay, I strongly encourage you to get yourself a ticket as he does not lack any intensity or excitement in his performance. – Aik, Host of 408s and Heartbreak, Saturdays 2-6 p.m. Check out our Urban shows on 90.5 FM or stream us online to keep up with the latest in hip hop, rap and R&B!